Above and below water concrete repairs. Preplaced Aggregate Concrete is an ideal repair for freeze-thaw damage. Above and below water pier consolidation. Concrete pile jackets can help restore degraded piling to their original strength. Brennan can provide several specialty repairs that you won’t find anywhere else. 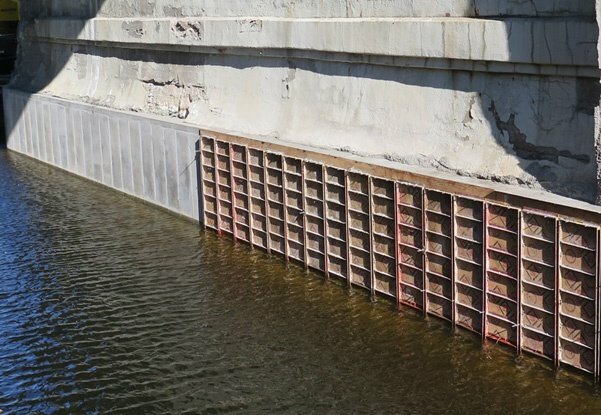 Our ability to work both above and below the waterline allows us to make repairs to concrete, masonry, and steel structures, either with or without a cofferdam. 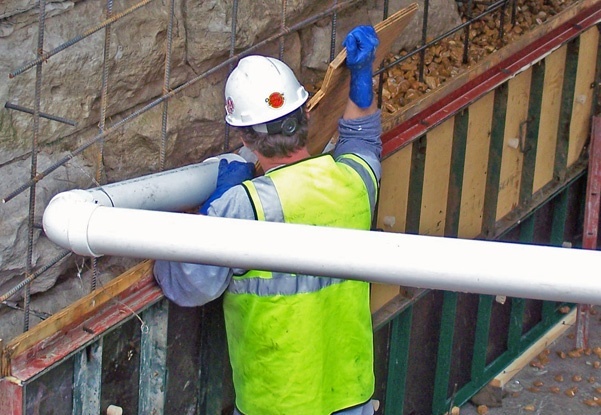 From large repairs that include grout injection and formwork, to small repairs along the freeze-thaw line using preplaced aggregate concrete, we have the right solution for you. J.F. 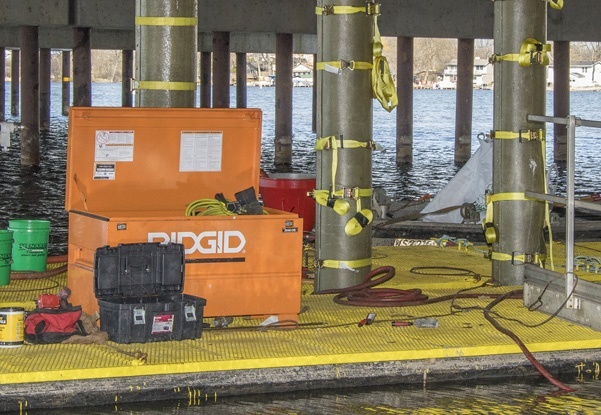 Brennan Company’s portfolio of concrete pier repair methods offers several effective choices that can reduce cost and ensure a quality repair. Whether it is above or below the waterline, we can repair existing concrete; or place new concrete. Often, access to the damaged structure is difficult and requires innovative thinking to effectively transport and place concrete within a limited time schedule. At Brennan, we have mastered the challenging logistics of difficult placements around water-based structures. It is often thought that a successful concrete repair must be done in a dry environment; however, this is not always the case. Brennan is one of the only U.S. based contractors that can successfully carry out a Preplaced Aggregate Concrete (PAC) project. 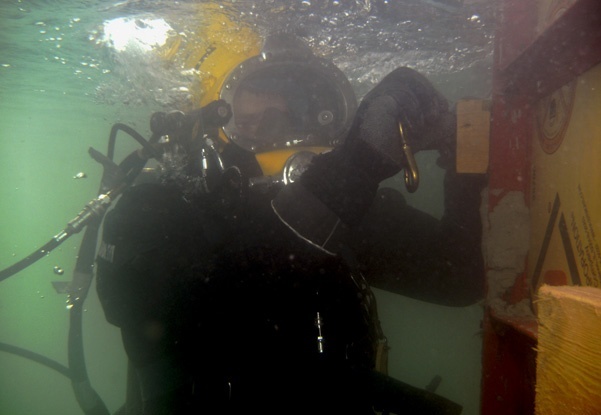 This type of repair is ideal for surfaces that are in close proximity to the surface of the water and experience freeze-thaw cycles or for underwater pier repairs. Pressure grouting is an integral part of Brennan’s geotechnical services. We often pressure grout to consolidate masonry bridge piers and increase strength lost to degradation. This can be done both above and below the waterline on several types of structures to restore integrity. Pressure grouting increases the bearing capacity, consolidates structure interiors, and arrests water infiltration. 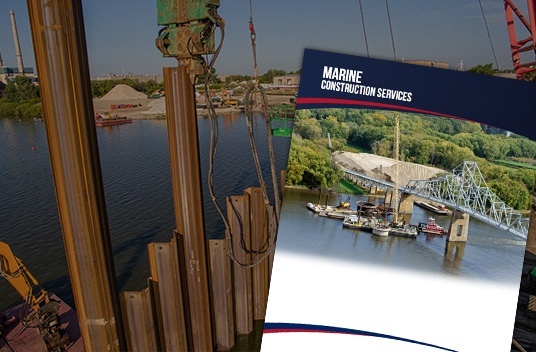 Bridge and dock piling are susceptible to degradation caused by scour, ice flows, and time. 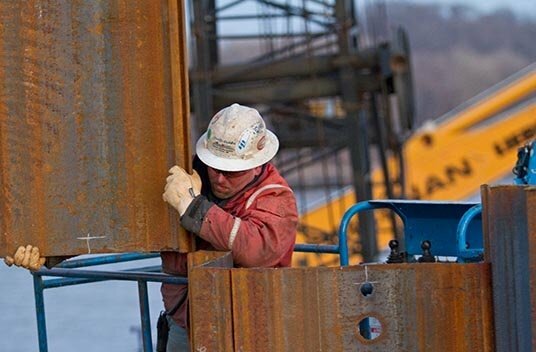 Total replacement of the piling can be avoided by jacketing the piling to restore the piling to its original strength. A popular choice for pile bent repairs, this innovative technique to restore bridge and dock piling is cost-effective.